This is a chronologic listing of bathing scenes that appeared in anime, manga and other related media in the year 1995. "Lois & Clark: The New Adventures of Superman episode 31"
Lois Lane is seen getting out of a Bubble Bath in a Clawfoot Bathtub. Yuri Suzuki takes a Bath. "Dragon Ball Z episode 252"
Majin Buu has a Bath scene. "Dragon Ball Z episode 254"
Mr. Satan and Majin Buu have a Bath scene. "Key the Metal Idol episode 2"
"Dragon Ball Z episode 258"
Gotenks and Piccolo have a Clothed Bathing scene. "Tenchi Muyo! 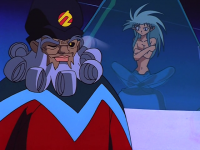 Ryo-Ohki 2 episode 4"
There is a Furo scene with Ryoko Hakubi and Washu Hakubi. There is a Dream Sequence Bathing scene. Gourry Gabriev takes a Bubble Bath. "Street Fighter II V episode 3"
Ryu Hoshi and Ken Masters go Skinny Dipping. "Mobile Suit Gundam Wing episode 4"
Treize Khushrenada has a Bubble Bath in a Bathing Pool. Dynastar has a Skinny Dipping scene and Minerva takes a Bath in a Bathing Pool. There is a Mixed Bathing Onsen scene. "Juuni Senshi Bakuretsu Eto Ranger episode 8"
Urii shares a Bubble Bath in a Clawfoot Bathtub with Little Red Riding Hood. Mamoru Chiba takes a Bath. 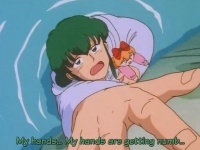 "Idol Defense Force Hummingbird episode 3"
Lina Inverse Skinny Dips in a Hot Spring she created. 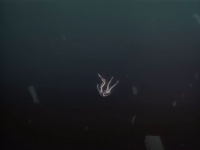 "Macross 7 2nd ending credits"
Mylene Flare Genius is shown taking a zero-gravity Shower. 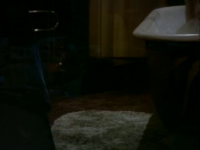 Seravy has a Clothed Bathing scene. "Tenchi Muyo! Ryo-Ohki 2 episode 5"
Ryoko Hakubi has a Tube Bath scene. Ihrie has a Bath scene. "Devil Hunter Yohko episode 6"
Yohko Mano has a Bath scene. "Dirty Pair Flash Mission 2 episode 2"
There is a Furo scene between Yuri and Kei. "Magic Knight Rayearth II episode 11"
There is a Shower scene and an Onsen scene. "New Cutie Honey 2nd opening credits"
Natsuko and Daiko Hayami are shown taking Showers in Shower Stalls while Honey Kisaragi is in a Towel chasing Danbei Hayami and Akakabu Hayami for Peeping on them but Honey drops her towel on accident and Danbei manages to take a picture. "New Cutie Honey episode 5"
Gene ends up Skinny Dipping after falling off a bridge and being defeated in a battle against Honey Kisaragi. Panther Zora appears and is also skinny dipping and kisses her. "New Cutie Honey episode 6"
Yasha ends up having a Rain Shower after she is defeated by Honey Kisaragi and at the end of the episode, her head is seen being held by Panther Zora who is naked in the rain shower. "El Hazard: The Magnificent World episode 3"
There is a Clothed Bathing Hot Spring scene with Lina Inverse, Naga and many Unnamed Bathers. "Dirty Pair Flash Mission 2 episode 3"
Kei and Yuri go Skinny Dipping in a Hot Spring as well as Calbee. 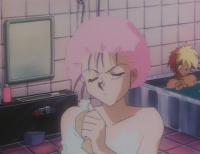 "Dirty Pair Flash Mission 2 episode 4"
There is a Public Bath scene between Kei and an Unnamed Female Bather. "Neon Genesis Evangelion episode 2"
There is a Bath scene with Shinji Ikari and another one with Misato Katsuragi. "El-Hazard: The Wanderers episode 3"
Rune Venus takes a Ritual Bath wearing a Bathing Gown. 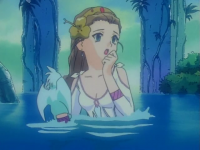 "Elf Princess Rane episode 1"
Leen Kyami Coonyo gets a Clothed Shower and then later she is Bath Bonding with Mari Yumenokata in a Bathing Pool. There is a Soapland scene with Kintaro Oe and an Unnamed Female Bather. 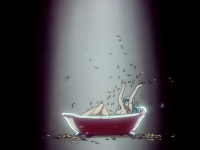 "New Cutie Honey episode 8"
Gold Digger is seen taking a Money Bath in a pink Clawfoot Slipper Bathtub. Later on Honey Kisaragi is seen at a club seducing all of the audience in various outfits and shots with one of them being her taking a Bubble Bath. Gold Digger ends up using a transportation device to shoot Daiko Hayami, Akakabu Hayami and an entire police squad into a random location which ends up being in the females side of a Public Bath that was currently being occupied by many unnamed female bathers. "El-Hazard: The Wanderers episode 8"
An unnamed female is seen having a Bath. There is a Tube Bath, Skinny Dipping and Rain Shower scene with Motoko Kusanagi. "Neon Genesis Evangelion episode 10"
There is an Onsen scene with Shinji Ikari, Misato Katsuragi and Asuka Langley Soryu. "Dragon Ball Z episode 287"
Son Goku, Son Goten and Trunks take a Bath in a Barrel. "El-Hazard: The Wanderers episode 12"
Alielle Relryle has a Bath scene. "Sailor Moon SuperS: Ami's First Love"
"Neon Genesis Evangelion chapter 8"
Misato Katsuragi takes a Shower and says how great it is to have a shower after a long day. Shinji Ikari comes home with groceries and gets nervous as he see's the silhouette of Misato's body through the bathroom door. After getting out, she says that there's nothing like a cold beer after a hot shower. This page was last modified on 18 December 2018, at 16:17.